Home » How to disable iTunes backup encryption? This article demonstrates how to disable iOS backup encryption in iTunes. 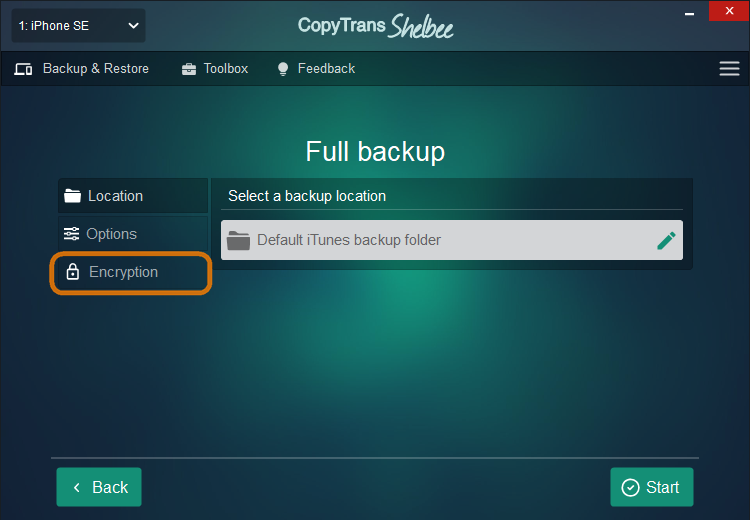 Run CopyTrans Shelbee and navigate to Backup > Full backup > Encryption. Now click the “Remove” tab, enter the current password, click “Remove” and begin the backup by clicking “Start”. NOTE: password will be removed after the backup begins. To avoid “Automatic synchronization” of your iDevice with iTunes please refer to this FAQ article. From the “Summary” tab of your iDevice settings in iTunes, un-check the “Encrypt iPhone backup” option. When prompted, enter the encryption password and click “OK”. 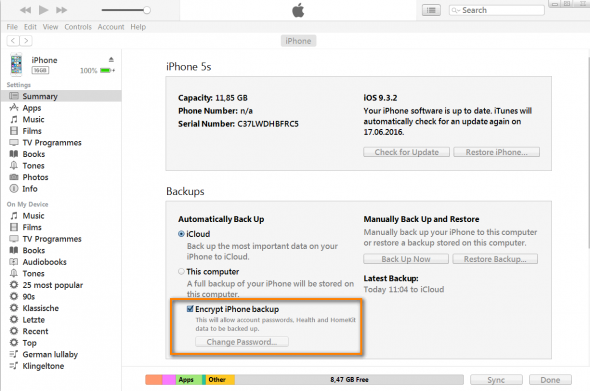 iTunes will now create another backup of your iPhone, iPad, or iPod Touch which will not be encrypted. This is how to disable iPhone backup encryption in iTunes. TIP: If you forgot your backup password, please refer to this article: I forgot my iPhone backup password.